Also serving areas in South Wales such as Newport, Penarth, Caerphilly, Pontypridd, Merthyr Tydfil, Swansea and more! At Leaflet Distribution Cardiff we specialise in distributing leaflets, brochures, menus, magazines, newspapers, etc, in the Cardiff and “Cardiff postcode area”. If you have a service, shop, or product, and you want to target the local Cardiff, or South Wales market, there’s no more cost effective way to reach potential customers then through our leaflet drops. We provide a reliable leaflet delivery service for businesses, with our GPS tracking (which updates every 12 seconds) and are able to provide clients with full reports of exact streets covered and the time taken! If you want only your leaflets going through the letterbox, then use our Solus delivery, which’ll mean you’re independent from any other materials. With Solus you’ll also be able to get started much sooner! Our shared plans mean you’re material will be delivered with 2-3 other materials. This is cheaper for you as you’re sharing the distribution costs. All other material will be “non-competing”. We’re always open to unique requests and are happy to bend our services to fit your needs. Maybe you’re a removals company and only want leaflets in houses with for sale or sold signs. Done! Step 1 is about us helping you find the right service, to fit your goals. This may even include us advising you that we don’t think leaflet drops are appropriate for your goals and suggesting that you use another marketing channel. Step 2 is where we’ll start to put together the maps and street addresses for where you want to target. We’ll also educate our distributors on what your goals are and give any special instructions as discussed with you in step 1. Step 3 is where we get to work delivering. Oddly enough this is actually the easiest part of our jobs, as we’ve done all the hard work and mapped everything out in steps 1 + 2, now we get to do the fun part of delivering! Step 4 is all to do with keeping you updated with our progress, with our weekly updates and reports. This includes GPS data from our distributors and also street addresses with number of leaflets delivered! 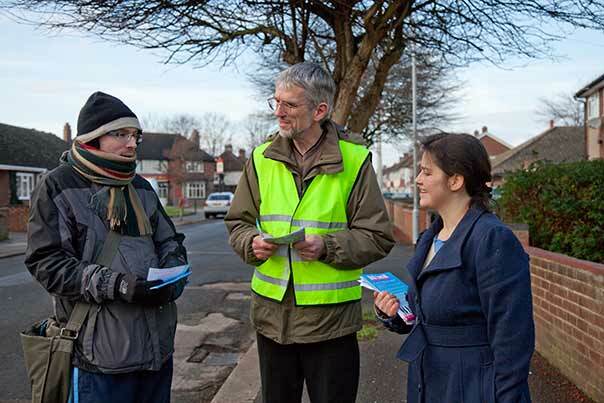 Why Choose “Door To Door” Leafleting For Your Marketing? The British Marketing Survey showed us that 89% of people noticed leaflets delivered to their door and that on average just under 7% responded. This was the best response rate of all other marketing channels, including TV ads, Newspaper and magazine ads, Internet, Radio, Posters, etc. You can see the results for yourself by visiting this. Why Choose Us To Deliver Your Leaflets? As small business owners we know the importance of making sure your marketing spend is being used in the most cost effect manner, while trying to get the highest ROI. And so our services are designed around what’s needed from a Cardiff leaflet delivery company! To ensure delivery, all our staff carry GPS tracking devices which updates every 12 seconds and shows us exactly where they’ve been and the time taken. We then share this info with our clients in our weekly updates. Using the latest data from Royal mail, we have a 97% accurate estimate for how many letterboxes are on each street. We use this information to make sure our staff aren’t putting 2 or more leaflets into each letterbox! Our main service areas are all of the postcodes within Cardiff. So that’s CF3, CF5, CF10, CF11, CF14, CF15, CF23, CF24. And all of the postcodes within Newport, such as NP10, NP11, NP18, NP19, NP20. We also cover most of the “Cardiff postcode area”, this includes, Penarth, Dinas Powys, Caerphilly, Pontypridd, Treharris, Aberdare, Mountain Ash and Merthyr Tydfill. With a bit of notice and as long as we’ve still got spots available, we can also do the rest of the “Cardiff postcode area” that’s anything with a CF before it, such as Bridgend or Barry. We can also do the rest of the “Newport postcode area”, that’s anything with a NP before it, such as Gwent, Monmouthshire, etc. We can also cover some of the postcodes in Swansea. We can then go check the route ourselves and confirm how many letterboxes they should have been able to deliver to! This stops our staff from putting 2 or more leaflets through a letterbox and again means we’re constantly working to ensure you’re getting the highest deliverabillity rate.